What a beautiful few days it has been! 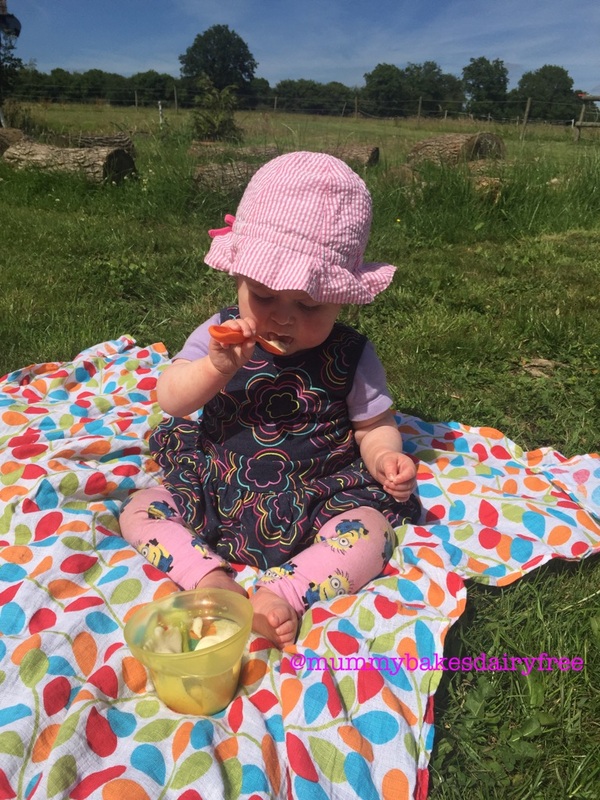 We’ve been busy, enjoying playing with other babies at a local baby group and eating lunch with friends. We’ve flung open the windows and found clothes which are light yet still cover poor little one up. It’s not fun to have eczema in this heat, especially if you’re not old enough to understand that itching makes it worse in the long run. We’ve enjoyed lots of baths and splashing water in mummy’s face seems to take her mind off of the itching! As little one has been suffering a little in heat (as has her mummy and daddy) I wanted to make a cooling treat. 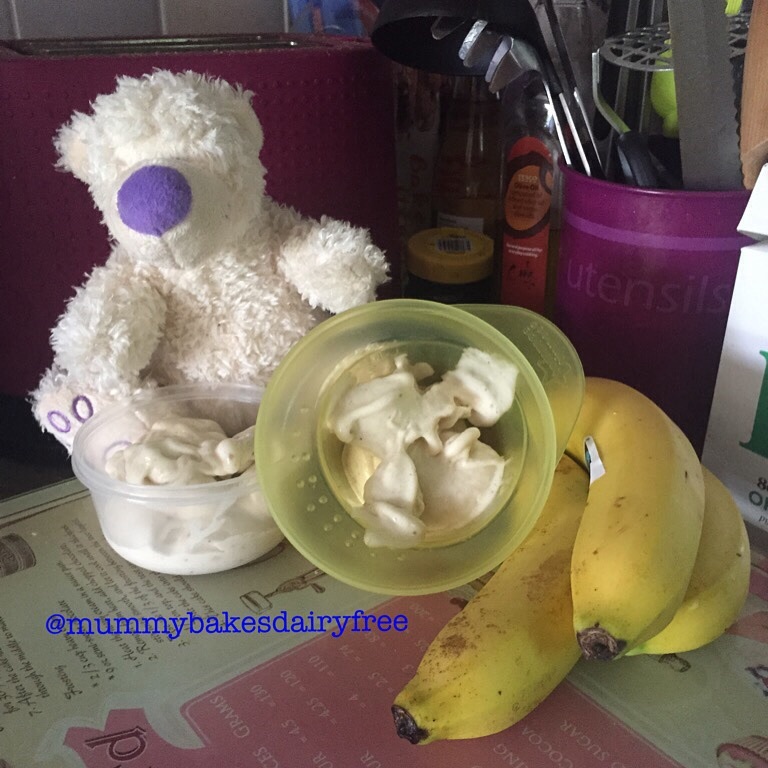 Dairy free banana ice cream is so easy to make and uses up bananas which may look past their best. If you do have any bananas about to be chucked take a look at my Banana and Oat Breakfast Muffin recipe to use them up. 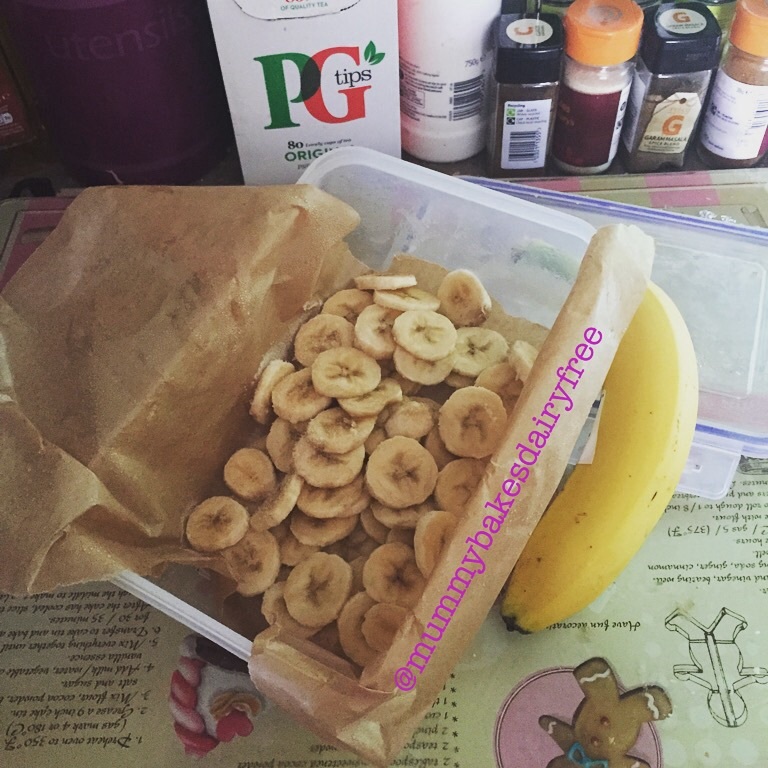 Along with blueberries, bananas are little one’s favourite fruit so this recipe is perfect for her. It is also allows for personalisation depending on your own taste. Apart from tasting yummy one of the best things about this recipe is that it only uses one ingredient. Yes it is bananas! The recipe below made two small grown up portions but it can easily be halved, doubled etc. 1. Peel and chop the bananas into rounds. Try to make them even sizes as it makes it easier to blend. 2. Place the pieces of banana into an airtight, lidded, freezer safe container. I lined the container with greaseproof paper to make it easier to remove the frozen bananas. 3. Pop into the freezer for at least two hours. Overnight is preferable. 4. Remove from the freezer and empty the frozen banana pieces into a food processor. 5. Blend the frozen banana until it becomes a creamy, soft scoop looking ice cream. Before it gets to this stage it will break into chunks. Scrape down the sides occasionally and blend some more. Eventually it will become a yummy ice cream consistency. 6. Serve immediately or place in a freezer safe container and pop into the freezer. It is best eaten the same day. The options really are endless when it comes to flavouring the ice cream or adding toppings. 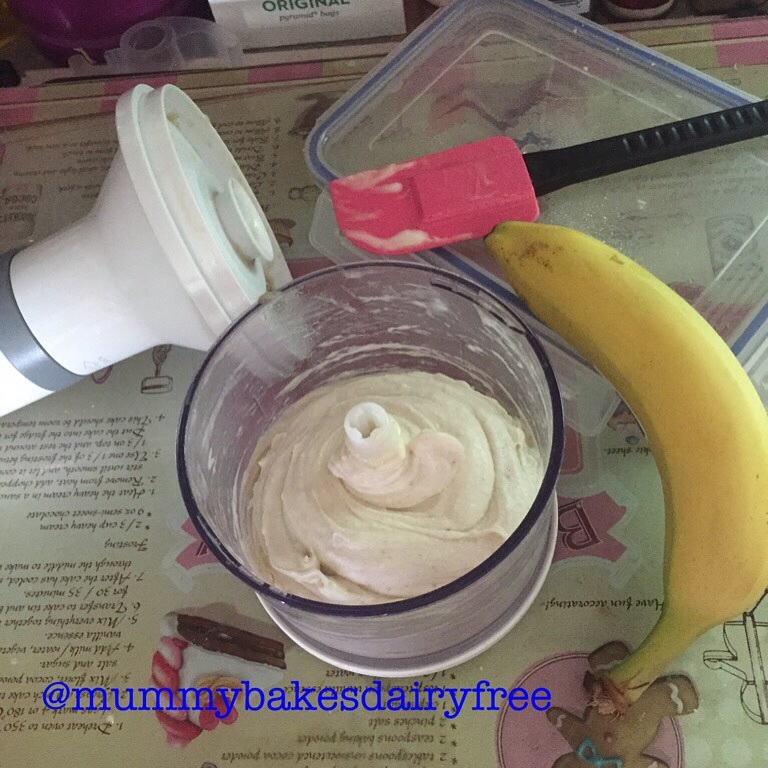 Another thing… as a base this ‘ice cream’ is pretty healthy as its only bananas, but added extras may change that. Saying that a little treat every so often is good all round!